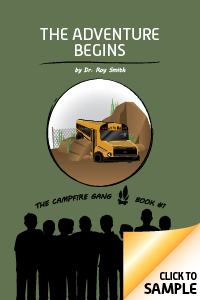 In the first book of this exciting series, you’ll meet eight boys from a quiet, small town. But their “normal” lives are about to turn upside down! One day they wander into an abandoned quarry. After a few unlucky events, they find themselves stuck in an underground world where everything seems strange and mysterious. 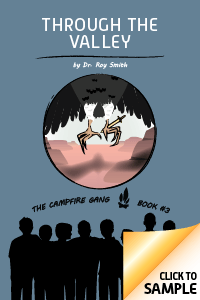 Book #1 marks the beginning of the campfire gang’s long, challenging journey home. Along the way, they’ll find excitement, adventure, strange creatures and new friends—and they’ll even learn a lesson or two! 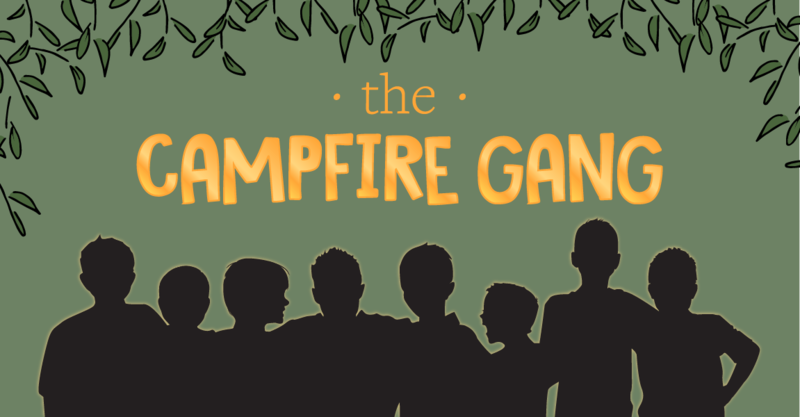 From battling the evil Strikers to discovering new friendships, the campfire gang won’t give up on their quest to find their way home. Together they journey onward, make tough decisions and even save a world full of creatures. 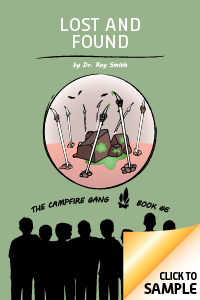 In this book, the boys find out more about who Pops really is. Thanks to the Angelicas, they learn how to fight for what’s right and mature a bit as a result! From hilarious arguments between the feisty Lizlards to a heroic battle against the terrifying Bat Birds, you won’t want to miss this book! 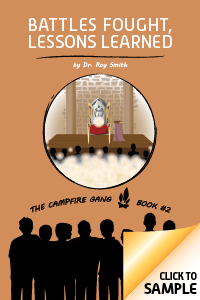 And among all the excitement, the gang continues to learn about themselves, each other and God’s plan for their lives. Find out how the gang works together (with the help of some Lizlard friends) to figure out a new plan. And join in on the fun with some tricky pranks, exciting Sclabin games and important leadership lessons. 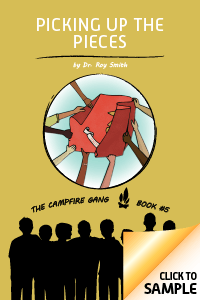 Take a peek back in time in Book #5 to the gang, Pops and a fond memory around their old campfire. Like usual, Pops teaches an important lesson–and it may be just what they need to survive this underground world! BB’s had his fun in Lardville—but he’s more than ready to get back to his friends. Unfortunately, the Lost Canyon has other plans. The gang races against time to save each other from the canyon’s tricks and traps, always remembering to never give in! 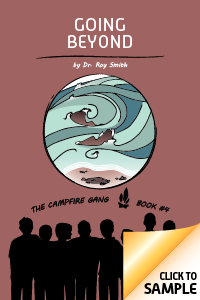 Things definitely aren’t going as planned for the campfire gang. But with some creative thinking, a little courage and a lot of help from Pops, they may just be able to face their challenges and get a bit closer to home. 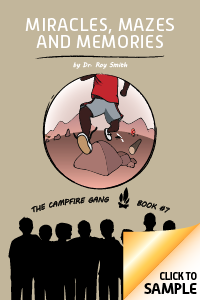 Together again, the campfire gang hopes to continue their journey home. But they’re not quite done learning some important life lessons. It’s time to say goodbye to old friends, look forward to the future and have a little fun along the way! On the other side of the Tunnel of Memories lies a mysterious new world. 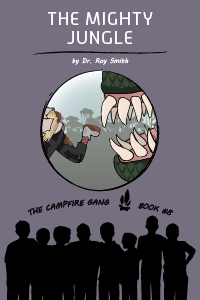 Between hungry monsters and intimidating strangers, the gang has plenty of new challenges to worry about. Luckily, a helping hand never seems to be too far away! The guys battle their way through the Tunnel of Memories, hoping exciting adventures lie on the other side. But along with excitement, they find danger and obstacles. It’s going to take courage and strength to survive this new world… do they have what it takes?